This is going to be awesome!!!!!!! Can't wait for march 25. I think this will be the best one yet! 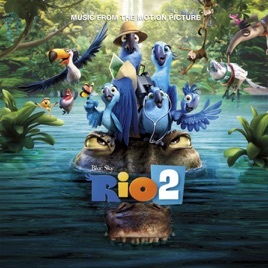 Rio 2 keeps it going! From what I've seen and the music that I've heard in all of the trailers, this is going to be the best animated movie (aside from the first Rio) in years. And with an incredible soundtrack to go with it, it'll be one of the best animated movies that you'll ever see. Definitely worth pre-ordering!